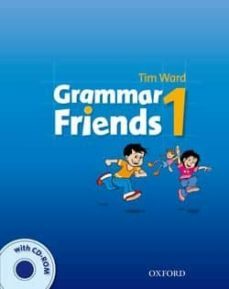 A new six-level grammar practice series for primary pupils aged 6 to 12 which provides an introduction to grammatical concepts and written practice of them. Clear, step-by-step grammar presentation and carefully graded practice for primary pupils ensure steady progress. Contexts and situations which are familiar to pupils from their everyday lives and from their coursebook, enable them to concentrate on the grammar. Flexible enough to be used alongside any primary course. * Regular revision units give opportunities for extra practice and consolidation. *Interactive Student CD-ROM has extra exercises and tests to motivate pupils and encourage learner independence.